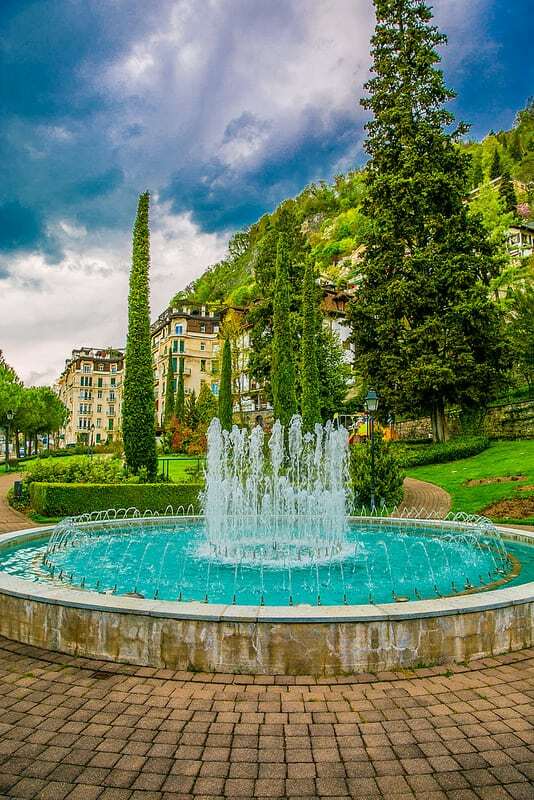 Beautiful Montreux, Switzerland – I was there for 3 days in April of this year (2016). It’s a relatively small town, but there is so much to do and so much to see any time of the year, 3 days were clearly not enough. 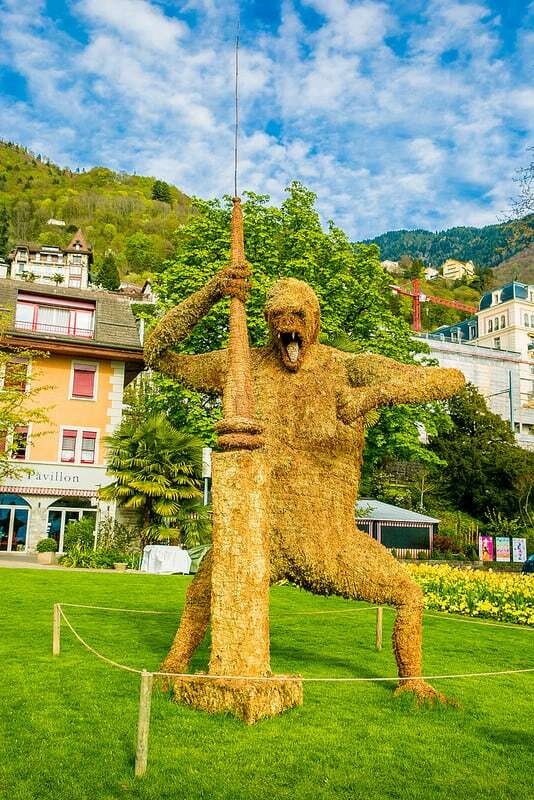 Here is my top 10 quick and easy things to do in or in the immediate vicinity of Montreux, Switzerland. 1. 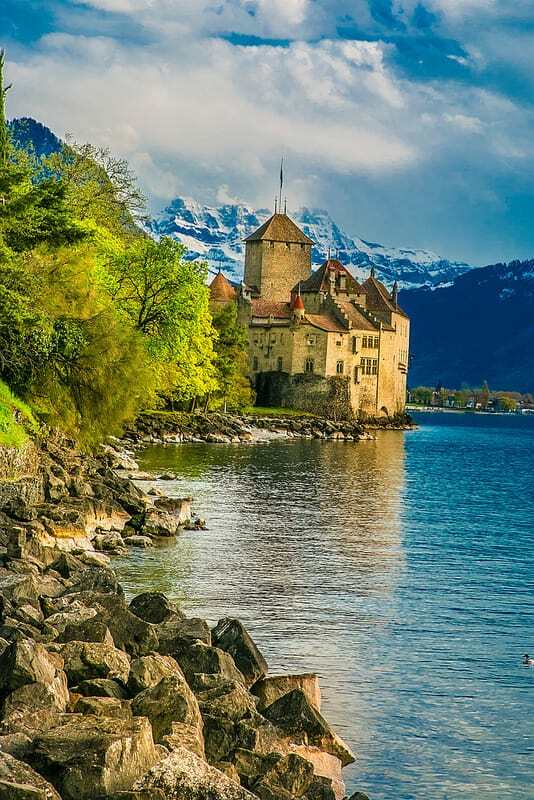 Chillon Castle (in French: Château de Chillon). It’s considered one of the most visited castles in Europe. 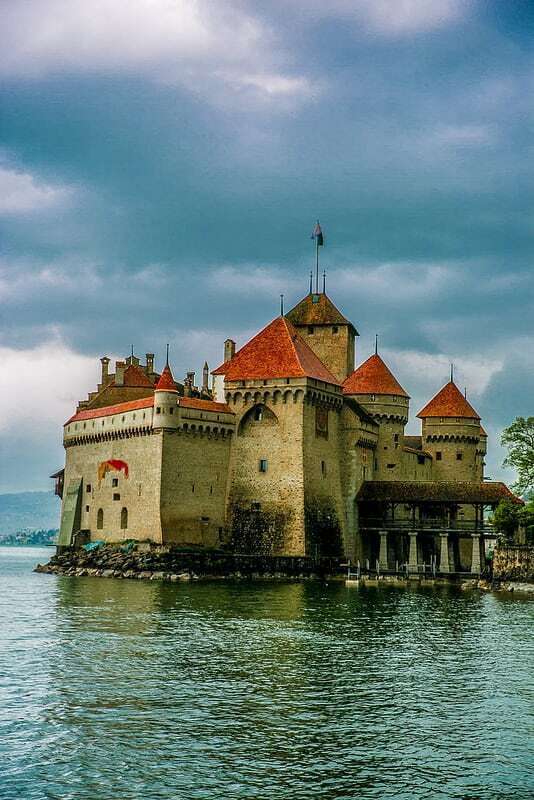 It’s located on Lake Geneva, and I walked from Montreux to the Castle – it took me about 3o minutes, it’s that close! Once at the castle, you can walk inside, it’s quite impressive! 2. 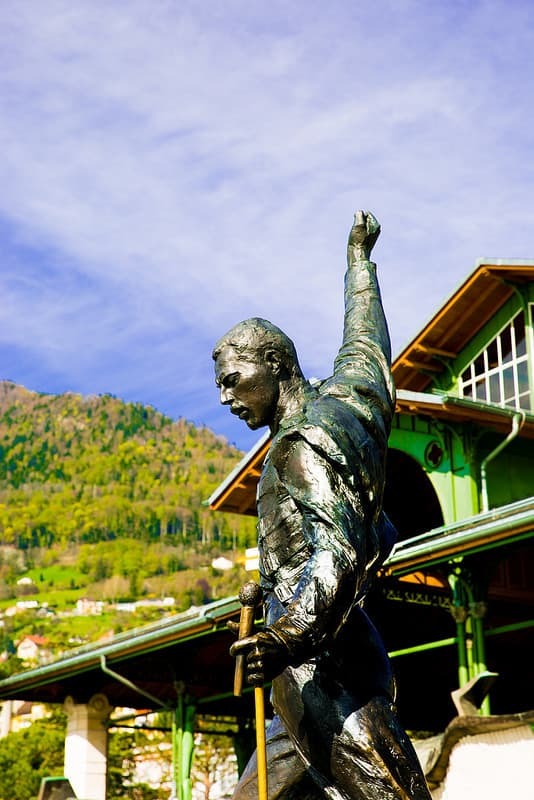 Freddie Mercury Statue. I love QUEEN, and Freddie Mercury is one of my top favorite artists of all time! “Made in Heaven” was the very first album by QUEEN that I started listening to back in the 90’s when I was a kid, and from that album I discovered all his earlier albums and just fell in love with his astonishing vocal ability. 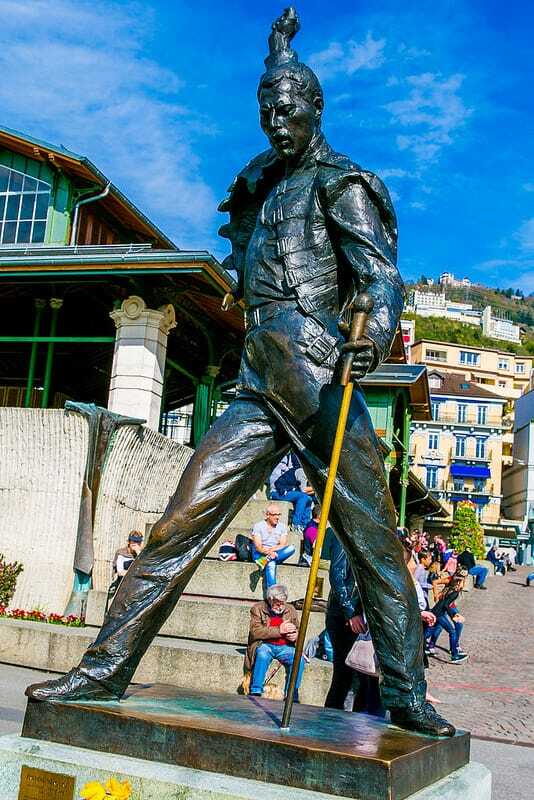 Imagine my surprise when I was just walking casually in Montreux, Switzerland and, quite unexpectedly to me, happened upon his statue! Turns out, he had a second home there, QUEEN bought a recording studio in Montreux and recorded “Made In Heaven” in Montreux! “Made in Heaven” was a very important album to me, that’s how I fell in love with QUEEN, and it’s just connected to my happy childhood! I cannot believe I accidentally, without any planning, visited the birthplace of “Made in Heaven”! 3. Boat trip. 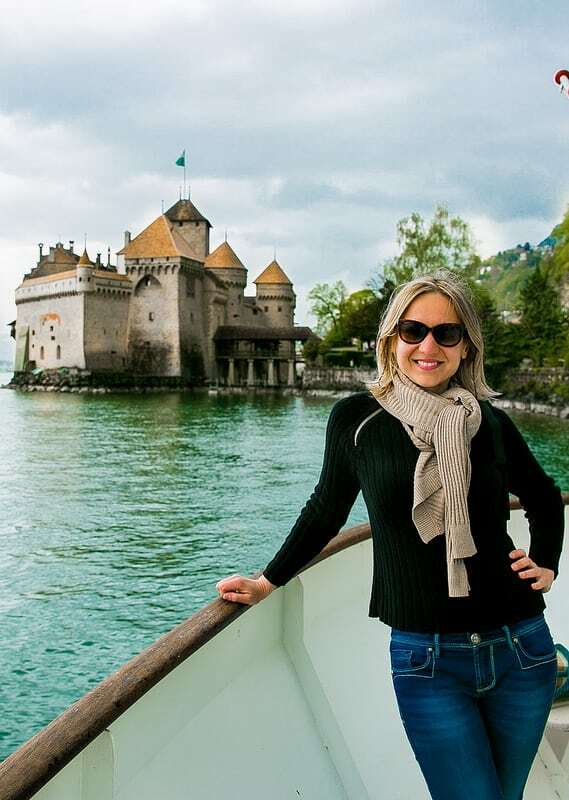 Take a boat right from Montreux and enjoy watching charming little villages from the water, you will also see the Chillon Castle from a little different perspective than seeing it from the land. 4. 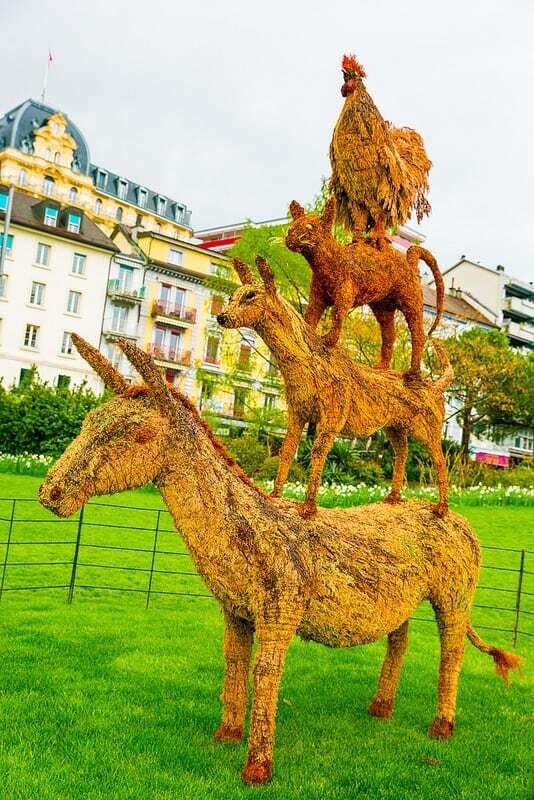 Funky statues. 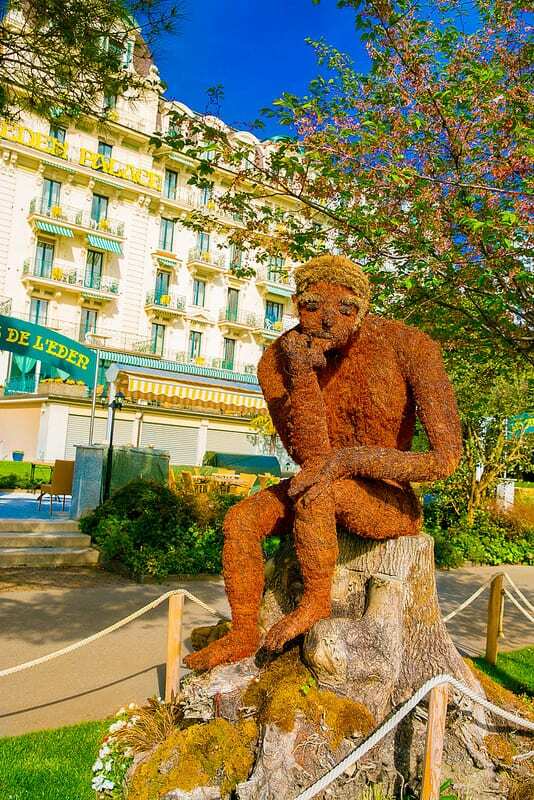 Walking around in Montreux, I saw so many interesting statues – they were everywhere! 5. 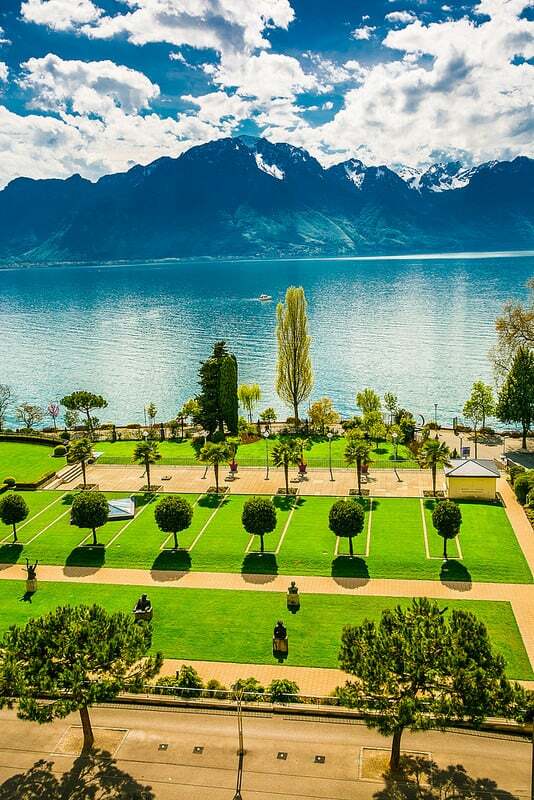 The Gardens of Montreux Palace. Visit the gardens filled with statues of famous people, such as Nabokov, Ray Charles, Ella Fitzgerald, Carlos Santana, etc. 6. 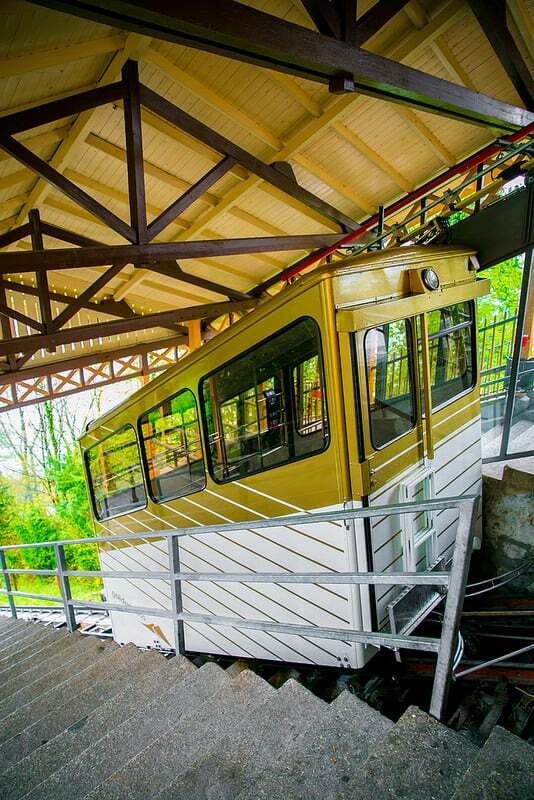 Take a train to The Rochers de Naye. 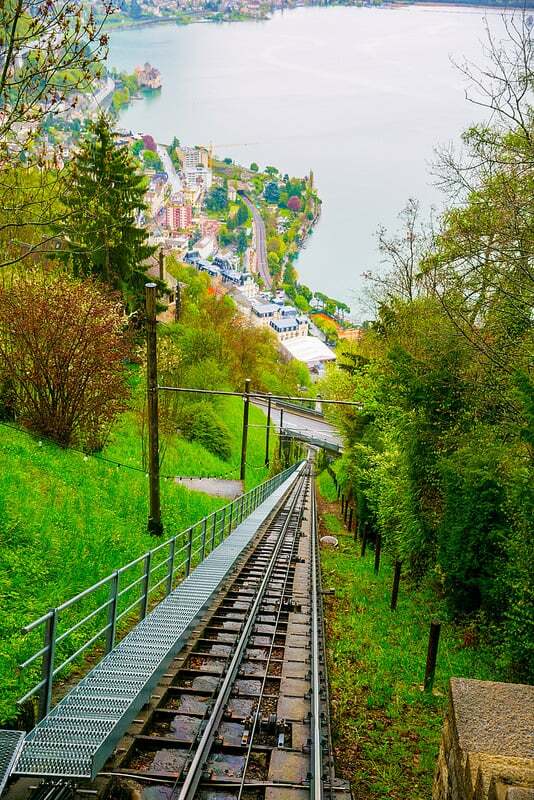 Right from Montreux, you can take the train to The Rochers de Naye, a mountain in Swiss Alps, overlooking the Lake Geneva. The views on top I hear are astonishing. 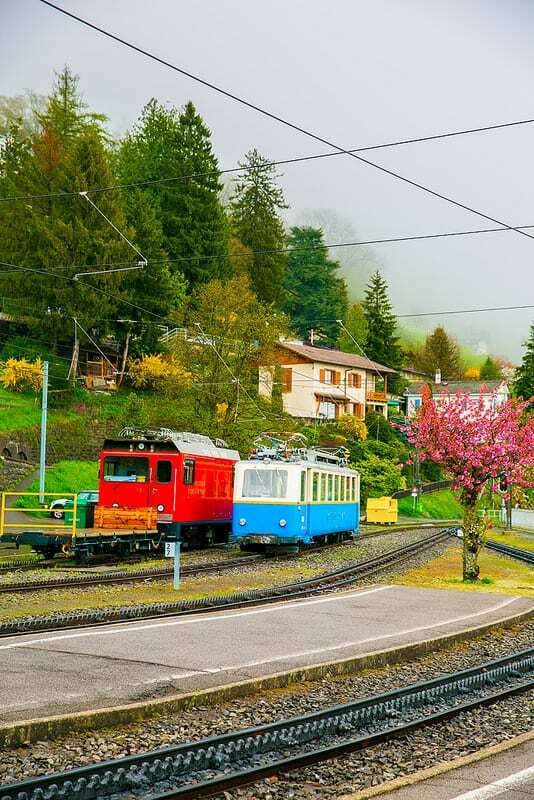 The day we took the train (in mid-April) it was raining in Montreux and snowing on top of the mountain, which is over 6,600 feet high (over 2,000 meters). So we were advised not to go all the way to the top, we got off at a lower station, but if the weather permits, definitely take the train all the way to the top to the Rochers de Naye to enjoy the views! 8. 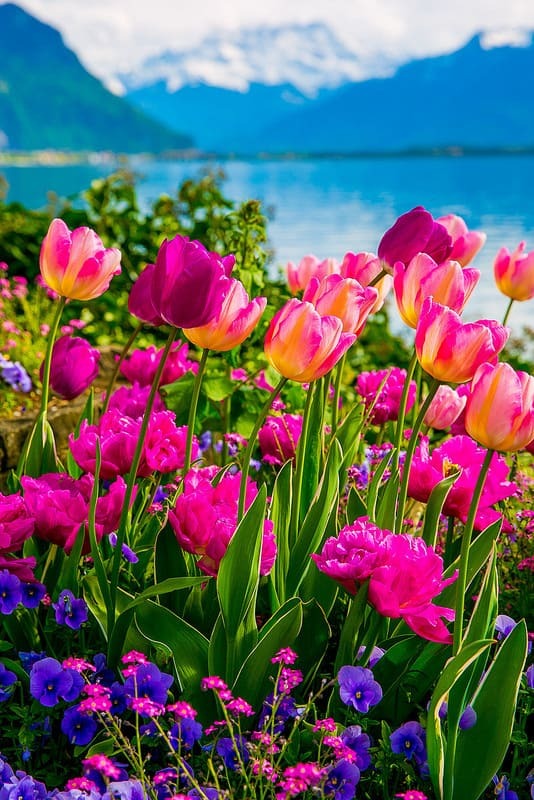 Enjoy the flowers. 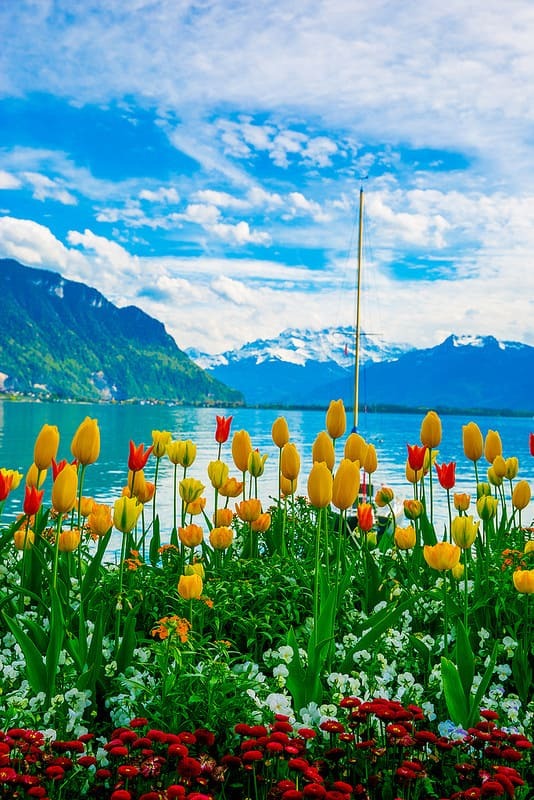 If you are in Montreux in the Spring or Summer, the flowers there are spectacular! I lost count of how many types of tulips I have seen! Really, the flower selections here could beat any botanical garden! 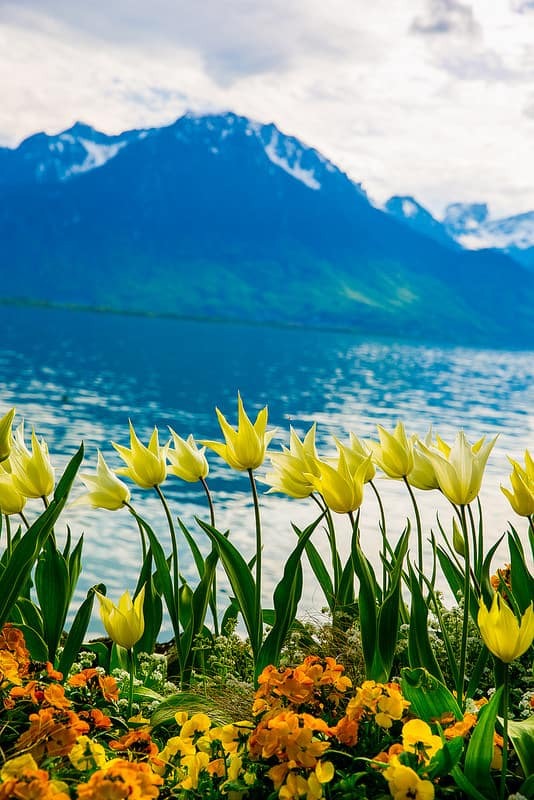 I dedicated a whole post, just about the flowers I saw in Montreux: The Tulips of Montreux. 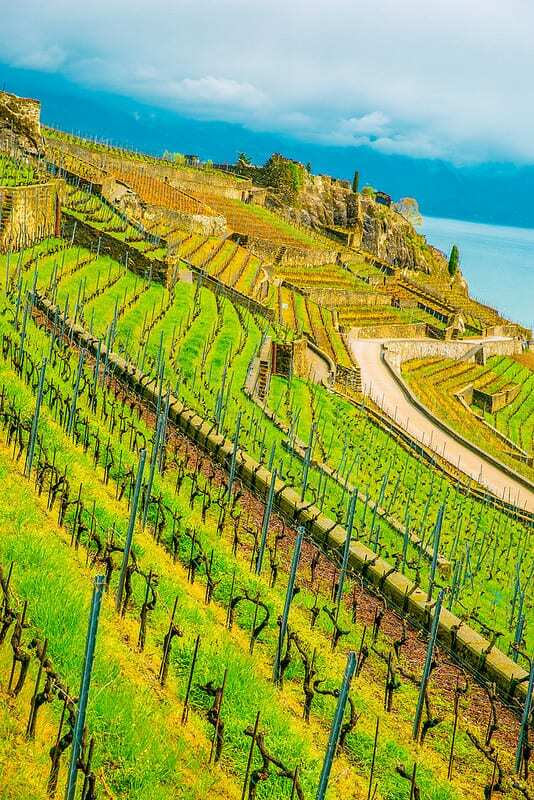 I had the good fortune to live in Commugny for 2 years which is a short drive to Montreaux. My family was young then. 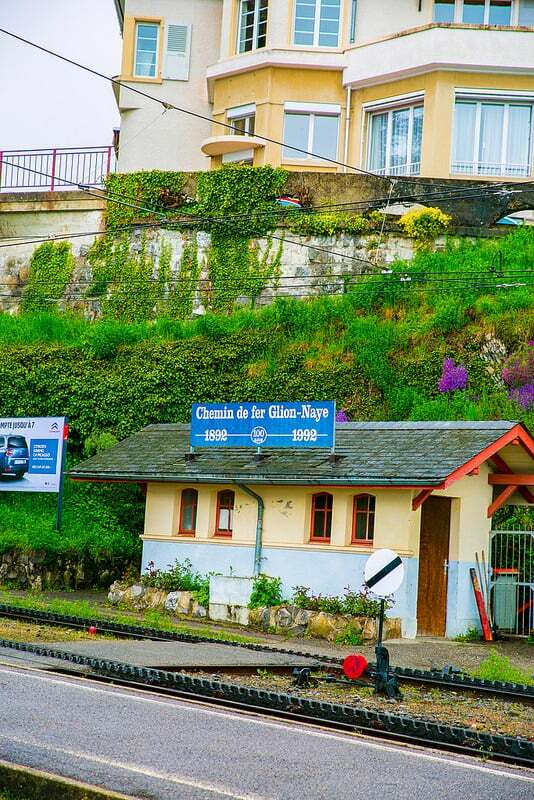 We took rides on the Rue du Lac and enjoyed the scenery of the beautiful lakeside towns. 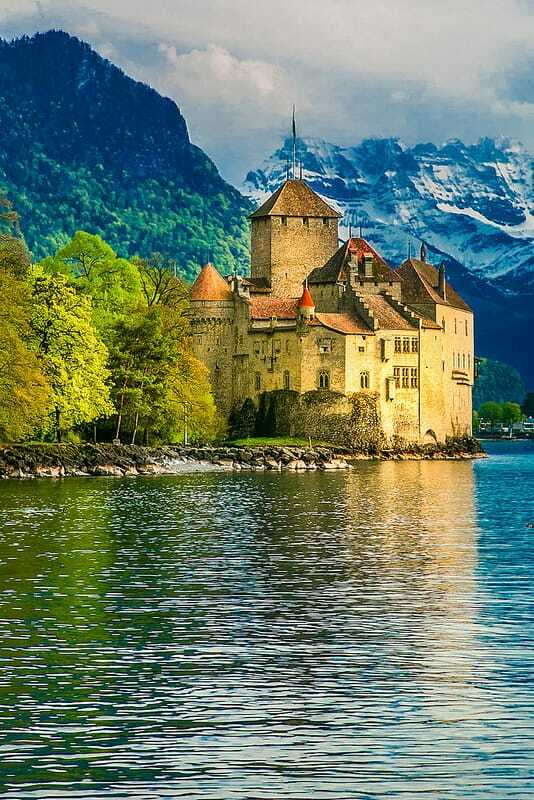 I remember touring Chillon. That was 43 years ago. This makes me want to go back and stay there for a few days. I would love to see Freddie’s statue. After 2 years in Switzerland our family moved to Munich and we lived there for 2 years, and then moved back to the states to Boston. How interesting that I lived in 2 places where Queen had a music studio. 43 years ago! 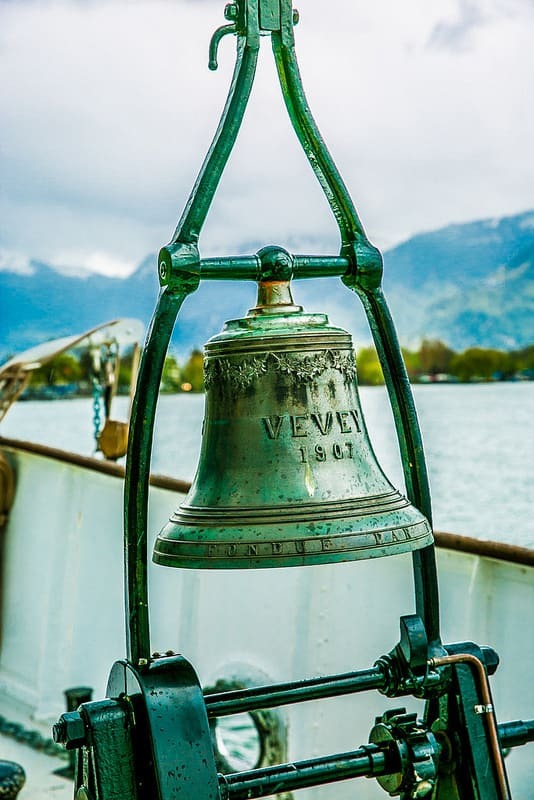 You should definitely visit Chillon again! 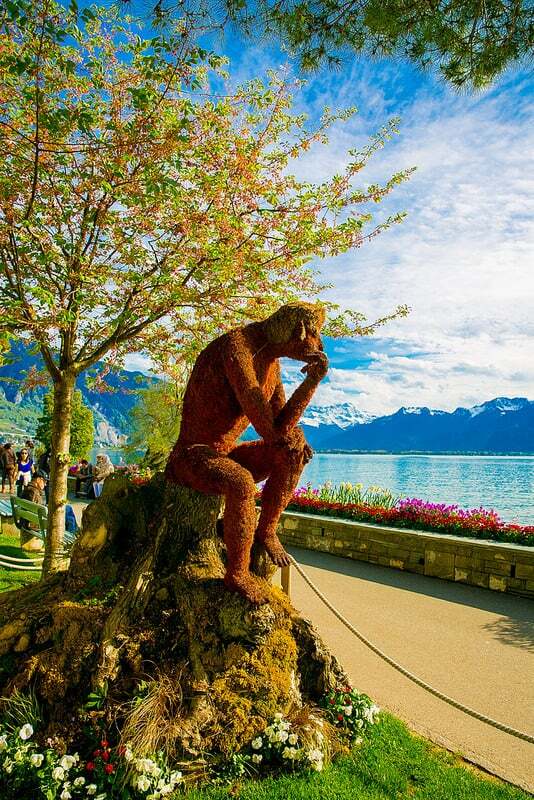 The area around Montreux is so beautiful, lined with flowers, trees, and sculptures. I’ve been there just 3 years ago but want to come back soon. I love Queen, and it was a treat to see Freddie’s statue, especially because I did not expect it and did not research it in advance. Thank You for sharing those 10 things they were amazing. 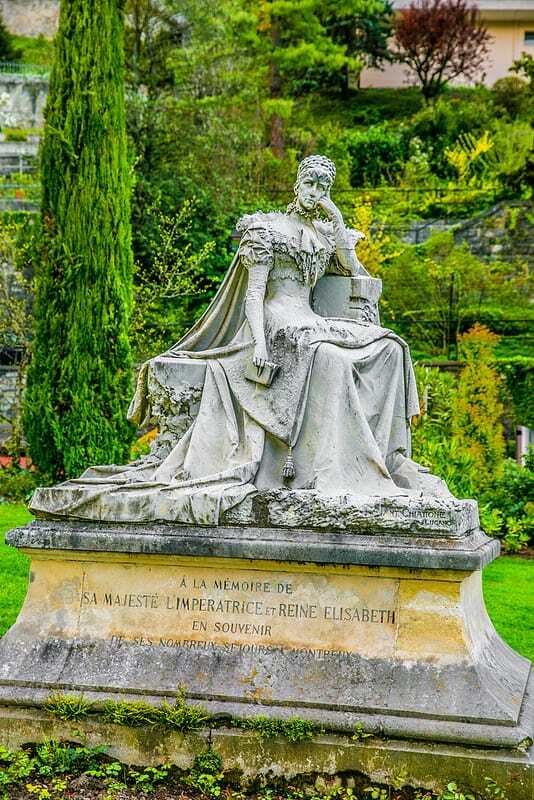 I will be in Montreux from 6-7 April 2019 and definitely will visit the Queen Studio with Fed’s statue, I too in love with them. 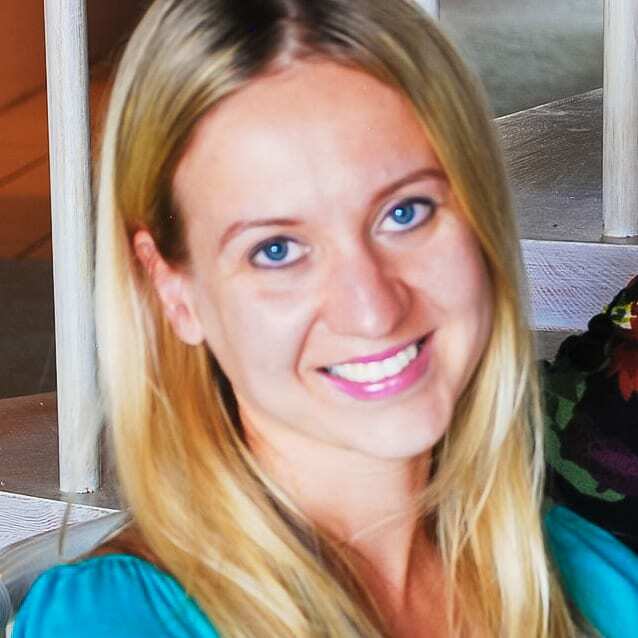 I love your blog about Montreux. 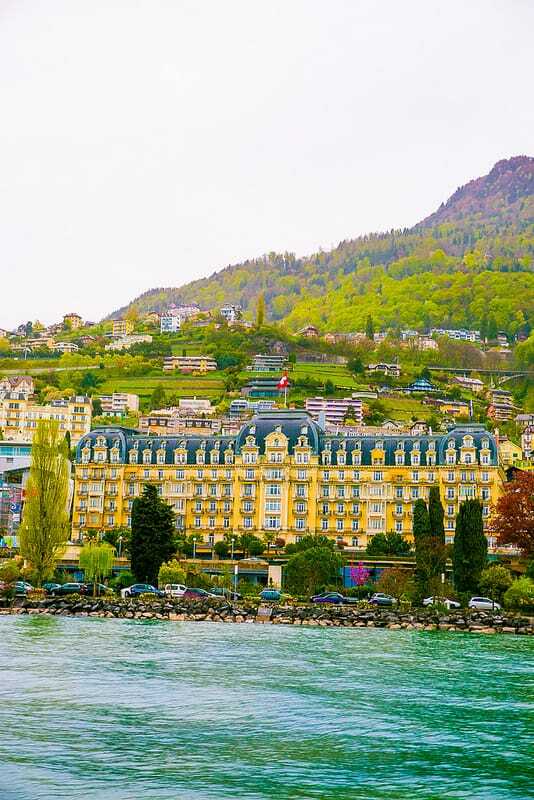 Thank you so much for sharing your great ideas.We are going to visit Montreux very soon from May 29 – June3, 2018.. Do you have recommendations regarding fine dining or more moderate dining in Montreux? We would really appreciate your help! Thank you so much! Would you stay outside of the city or what is your recommendation ? 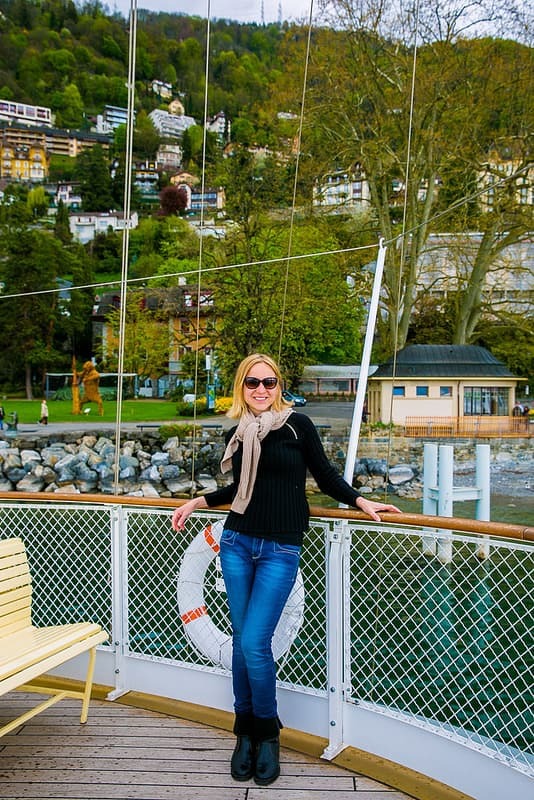 We stayed right in Montreux, which was wonderful! 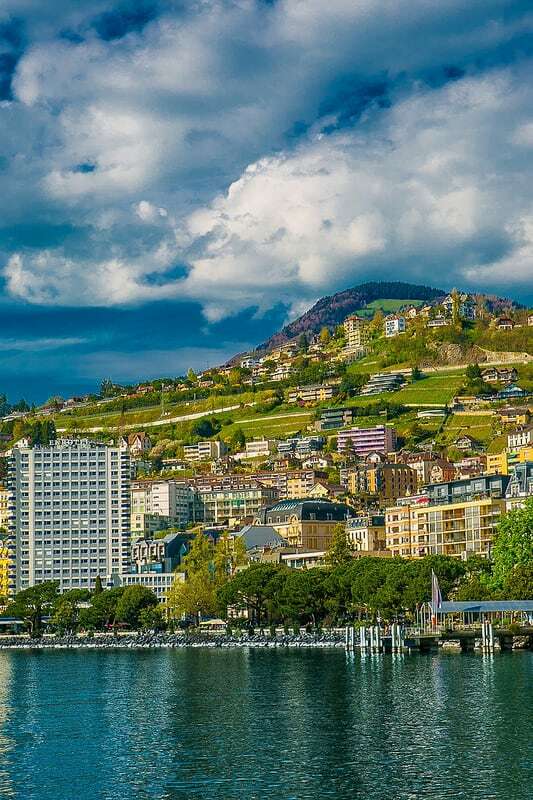 But Montreux is so small and it is surrounded by many other small towns that are so close to Montreux that you can either walk, take a bus, or take a ferry between them. So, the choice is up to you. If you zoom in on the map for Montreux you can see all the small towns along the lake Geneva that are very close to Montreux. We are heading there right now from Interlaken! Thanks for the info. 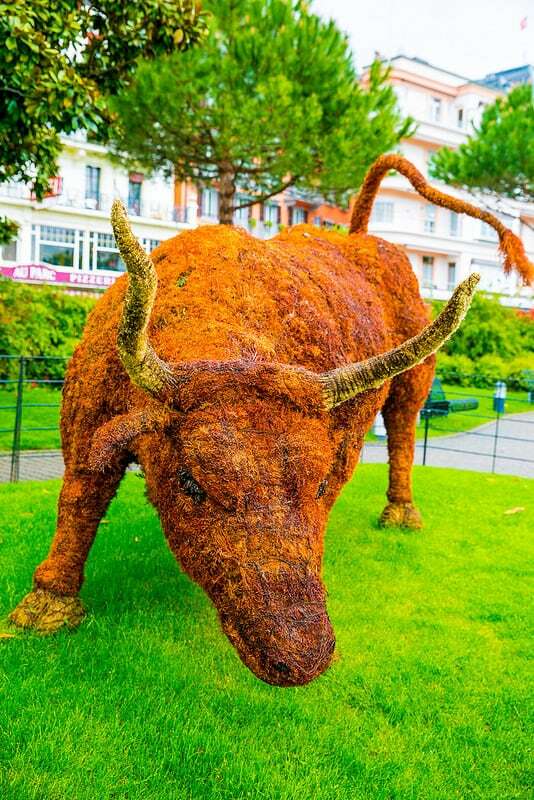 Enjoyed your travel album to Montreux. We are currently in Zermatt and heading to Montreux tomorrow. I appreciate your comments and photos!